Prisms are a local Prog-Indie band, mixing angular guitars with lots of interchanging time signatures, and adolescent lyrical content, in my eyes creating something quite unique yet skilled for musicians of their age (ranging from 17 – 20 years old). 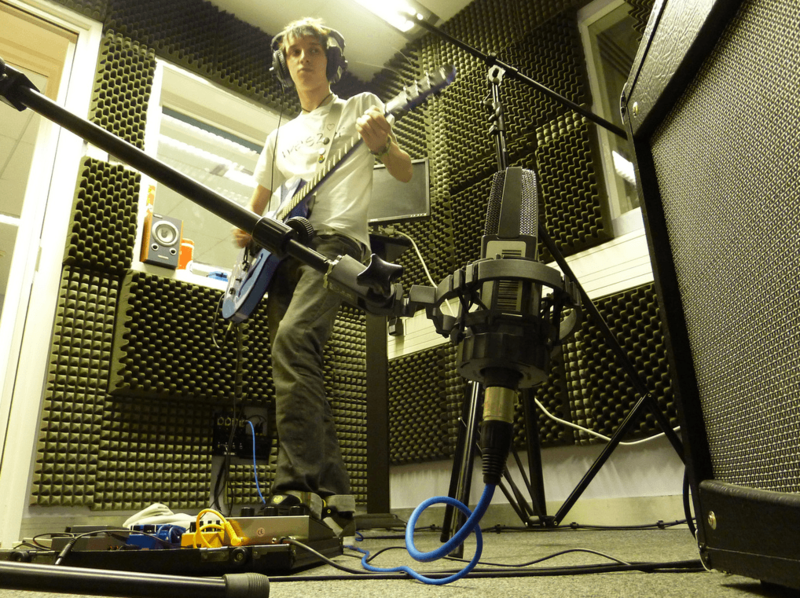 Jack, the lead singer/guitarist, is the cousin of an old friend, and after watching a video of them in the practice rooms at their Lincoln College study ground, I fell in love with what they are building and trying to do, so wanted to get them into the studio. Having won the Lincoln Battle of the bands very recently, and earnt themselves a four day professional recording session worth £2000, I felt this would be a very good experience for them to come in with myself and Luke Pickering, in an industry standard environment, before going away for this recording. It has been a worthwhile experience for myself and Luke, while producing a subsequent EP recording for the band to take to their professional session to work with.I felt I have learnt massively over the two day period, having to work through three songs, fully hands on, where everything right and wrong is down to ourselves and the band alone. Luckily the lads were very good musicians and highly professional throughout. 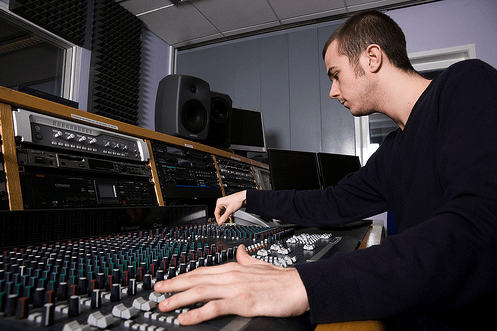 John Stacey, Level 1 Audio Production. So we are nearly at the end of our first year as Audio Production students – and looking back we have covered a lot of material and learnt a lot of new techniques and skills. Starting with Semester A we were introduced to Radio and Sound, Principles of Audio, Multitrack Recording, and Mediation and Representation. During our Radio and Sound sessions we learnt about the skills necessary to create and produce radio pieces – working to create short clips, and radio shows that were of a broadcast quality. We have also been looking at a variety of different elements during Mediation and Representation, looking at the ethics of broadcasting, semiotics and issues such as feminism. My favourite two modules so far have been the Principles of Audio and Multitrack recording modules, which both went hand in hand – allowing us to work with audio to create and edit pieces. We covered items ranging from an overview of the MP3 format, to the methods of calculating, for example, the wavelength of a sound wave at a certain frequency and we worked as a group to engineer and record two cover songs. We then mixed and reported on this individually. Moving on to semester B, we are studying Electronic Music Production, Understanding the Cultural Industries, and Sound Editing for Visual Media. 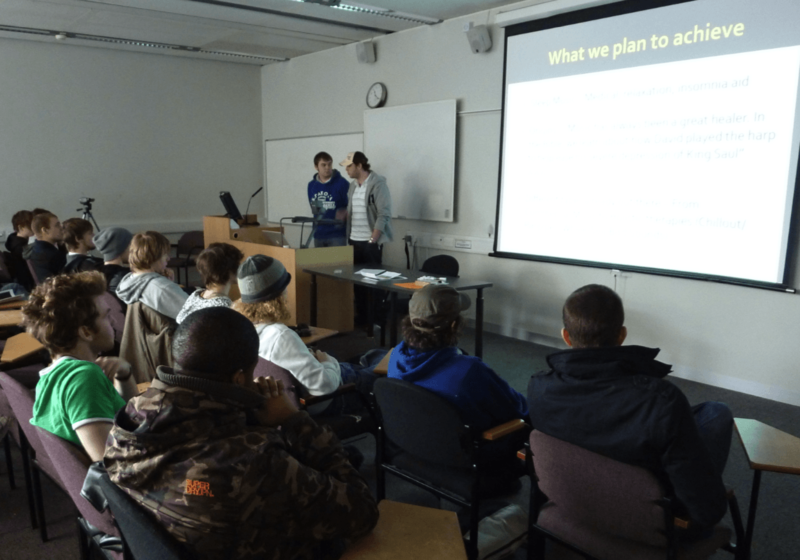 During our Cultural Industries sessions we have been looking at changing trends, attitudes and perceptions of audiences, and creating presentations on a variety of topics – my group looked at the issue of how audiences perceive illegal music downloads. Furthermore, we have also been looking at the techniques, tools, and research needed to create audio to accompany images – looking at techniques for sounds that are used for a variety of methods; including creating sound effects, narrative, foley etc. We have also been looking at Electronic Music Production, and examining the methods used for electronic music making, whilst continuing with our Pro Tools tutorials. Perhaps the highlight of the year so far for me, has been working with a local band, The Fix, recording them in the studio and producing their EP, which has just been finished and will shortly be released. 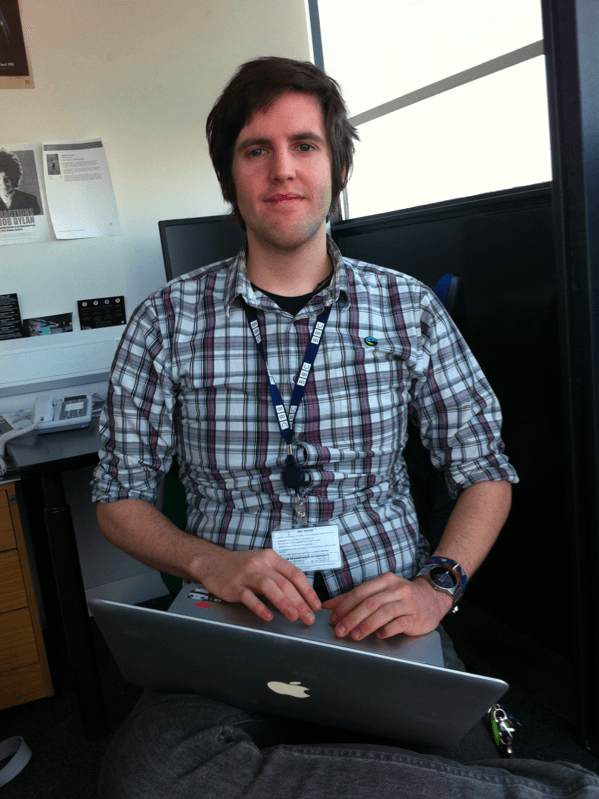 Level 3 Audio Technology student Adam Boardman has been busy this week. 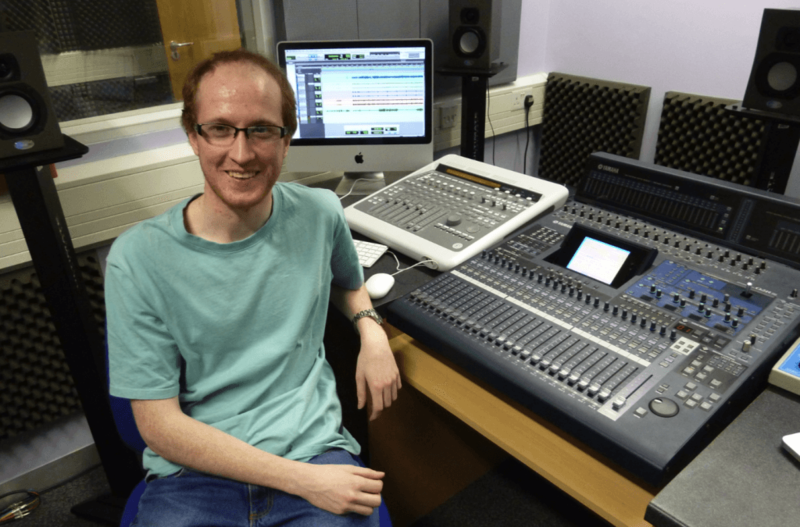 Not only has he been working on his various university modules, he has configured Control Room 2 into a fully functioning surround sound tracking and mixing environment. Students can now record into Pro Tools from any of the three recording areas (live room, dead room, isolation booth) and mix in either stereo or 5.1 surround sound using the great sounding Blue Sky monitoring system. 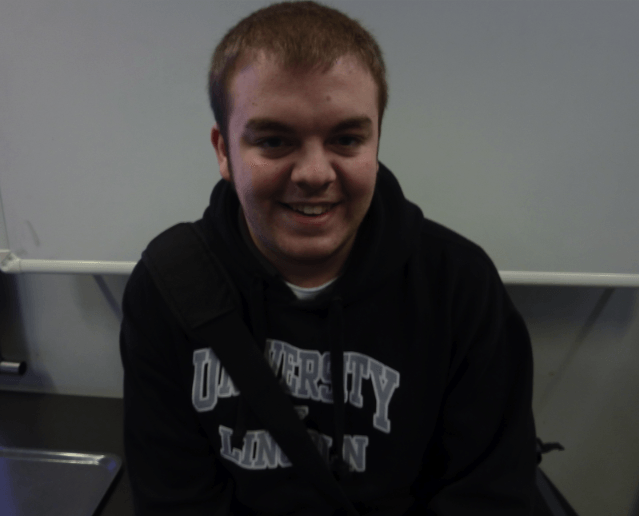 Not only that, Adam has set up a Pro Tools tutorial blog as part of one of his university assessments and is developing an iPhone app for another! Keep up the good work, Adam, and thanks very much!